JR Beauty Aesthetics clinic is pleased to offer the KB PRO Microblading Brows treatment by our certified K.B Pro Artist. 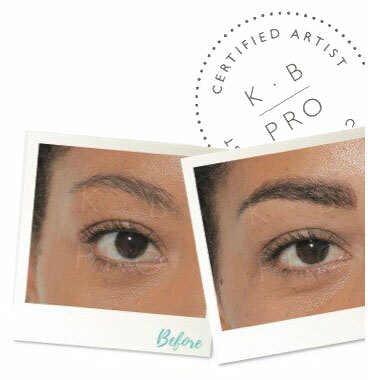 The KB Pro Microblading is a technique used to create the most realistic looking brows using fine hair strokes to mimic the look of real brows. Whether your own natural eyebrows need filling out and accentuating or you need an entirely new eyebrow shape or to recreated where no natural hairs remain. This realistic looking brow treatment from K.B Pro at our Barnsley aesthetics clinic lasts around 12-16 months. Is this the perfect treatment for you, call or contact the JR Beauty Clinic for more information and prices. WHAT ARE K.B PRO BROWS? It’s the most popular form of permanent cosmetics whereby individual hair strokes are created in the brows by implanting high-quality pigments using specialist tools. These natural-looking hair strokes are so fine, they mimic real hairs perfectly for ultra-realistic, beautifully defined brows. Who can perform a K.B Pro Brow treatment? Only qualified permanent cosmetics artists, rigorously trained at K.B Pro Academy, are qualified to perform these treatments. You may experience some mild discomfort but most clients say it doesn’t hurt. We will make you feel as comfortable as possible during the treatment. Treatments last for around 12 – 18 months but attend your annual colour boost appointment to make sure your brows stay looking fresh. 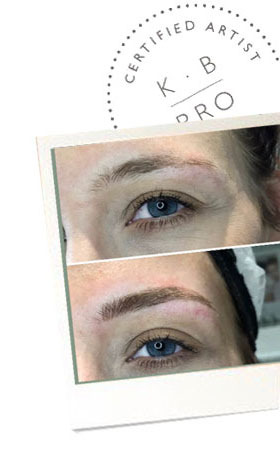 Why have a K.B Pro Brows Treatment? Having natural-looking permanent brows will save you time every single day. Enjoy smudge proof, sweat proof brows without the effort.